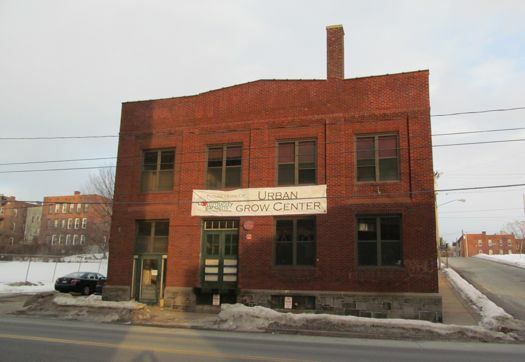 The CDCG' new Urban Grow Center building on River Street in Troy. 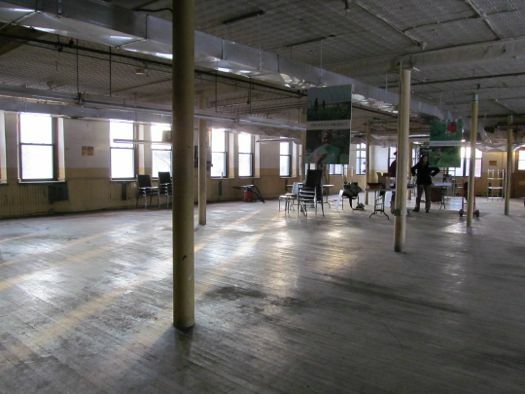 A few years ago the 100-year-old manufacturing building at 594 River Street in Troy was home to a company that produced that little liquid piece that goes inside levels. 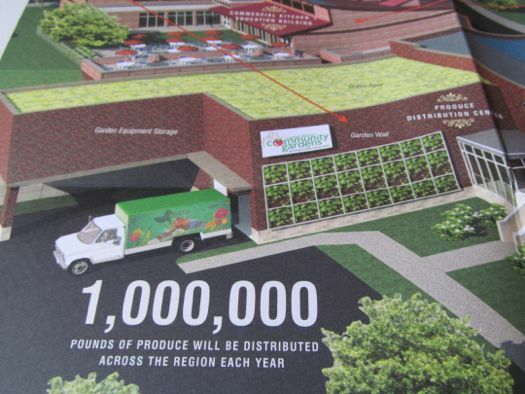 By this time next year it's expected to house a low-cost produce market and it will be home to the Capital District Community Gardens headquarters. 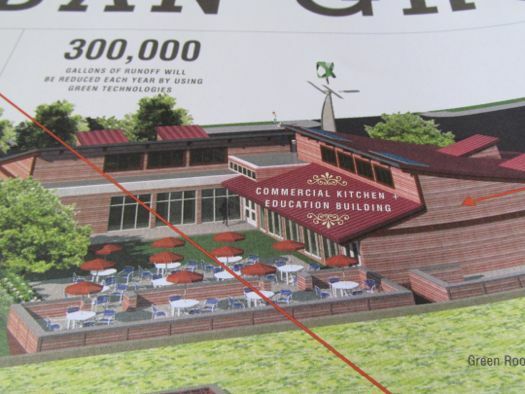 And a few years from now, if all goes according to plan, the building and the land beside it will also include a hydroponic garden, educational and job training space, and a commercial kitchen. 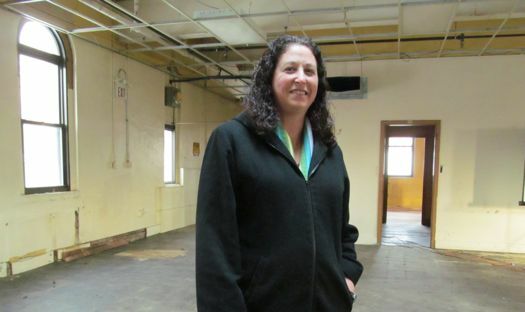 CDCG executive director Amy Klein says the new Urban Grow Center is unique -- a space that will combine urban agriculture, education, and food access. 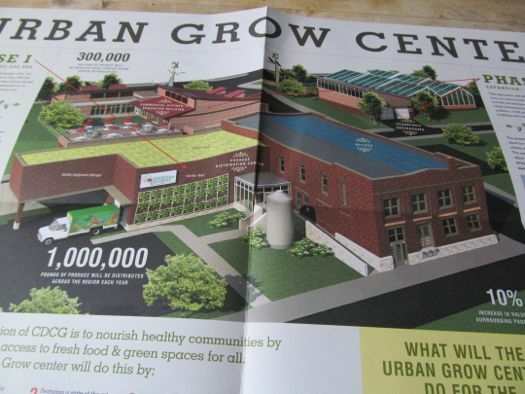 The CDCG's Urban Grow Center was a long time in the making. Amy Klein says the project has been in the planning phase for about ten years. CDCG purchased the building this past summer and it's now getting ready to renovate and move in. Klein says they looked all over the region to find just the right space for the new facility. "It had to be in a service area of ours, it had to be an appropriate building where there was land next door or nearby so we could realize our full ambition for the program," Klein says. "And it had to be both on a bus line and with good access to a highway because this is going to be a regional facility. A lot of times we don't think as a region and that is so important. Yes, it is situated here in Troy, but this is regional. People from all over our region can access theses service and we can serve our regions from here, including our broader 10-county region of farmers that we work with." The building will have a green roof, not as much for production as for insulation and energy efficiency. There will also be porous pavement to keep water from running off into the the sewer system, and rainwater collection for use in landscaping and gray water for toilets. Klein says CDCG -- which in addition to community garden plots around the Capital District, also operates the Veggie Mobile food markets -- has already raised half of the $2.5 million needed for phase one of the project: renovating the building, moving operations, and construction of a building to help with food distribution and storage. They kicked off the public portion of their phase one fundraising effort at a press conference today. 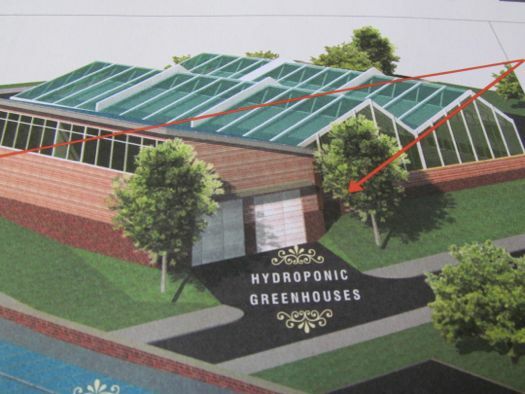 Phase two of the project will include a commercial kitchen to incubate food-based businesses, a series of hydroponic greenhouses in which CDCG can expand its job education programs to take in not just youths but also adults. Klein says the Urban Grow Center wasn't based on programs anywhere else in the country, but is something she hopes other communities will consider implementing. "What I am anticipating is, as much as the Veggie Mobile has been a model for other programs around the country, that the Urban Grow Center will become a model for other centers around the country in years to come." This is just tremendous! (Selfishly, I wish they had found a location in Albany.) The CDCG's original mission of operating community gardens in the area remains important (I participate in one and it's been a huge benefit to my life in terms of fresh vegetables, wholesome outdoor activity, and connection to fellow gardeners) but the reality is that there are only so many plots available and there is always a waiting list. CDCG's other projects widen its outreach to bring the benefits of urban agriculture to more people as producers and consumers of locally raised food. Amy Klein is to be commended for having such a big vision for the Urban Grow Center and the executive smarts to see it to fruition. Agreed! This is spectacular. Power to the People!! !